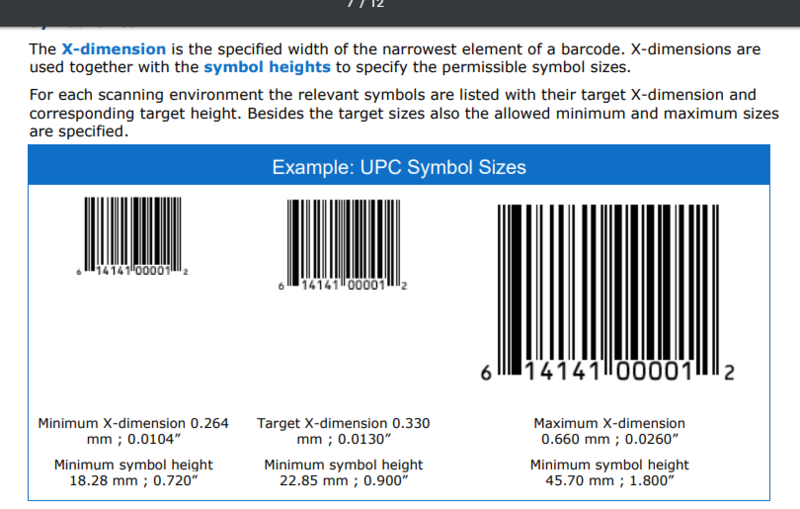 Barcode standards: is there a minimum size? I'm coming to the end of a project with a client, we are just artworking and getting the standards correct. I have designed a label for a bottle, the label is fairly small, 150mm x 50mm so I have to be conscious about the label real estate. I'm wondering if there a minimum size I MUST have the barcode or any standards that I must comply by? The client is located in New Zealand. Second. These measurements depend on several things, the resolution of the print system, and some standards of how the laser beams operate. Besides these guidelines, there are some other on how to accommodate the barcode, which depends on the package's shape and size. Try to find some specifics for NZ. You need to see if there are some local regulations, not only for barcodes, but some other legal information, like nutrition facts, and Net content. Google this terms and combinations: barcode standard guideline New Zeland. I must say, you can play a bit with this sizes. Especially with the height of the barcode. On the first image, you can also see that you can play a bit with the overall scaling. On point 5.2.6.7 of the linked document, you can see some implied scaling. The table gives you some measurements of 80% scaling of the barcode. Section 5.9 addresses the printing variables and the scanner's ones. But you also can play with the height or crop a bit the top of the code bar. This will not directly affect the "differentiation of the different" widths of the bars. It only will take more effort to the person scanning it. Following up on Rafael's excellent answer, here's a link to a resource from the same international standards organisation, to a more current document (2015) in English: this, in combination with the first link in Rafael's answer should have you all sorted. Also, as we here at GDSE prefer in-answer examples and content, and links only for reference, here's a screengrab from that document which may be helpful. Hope this all helps mate. Not the answer you're looking for? Browse other questions tagged adobe-illustrator print-design barcodes or ask your own question. 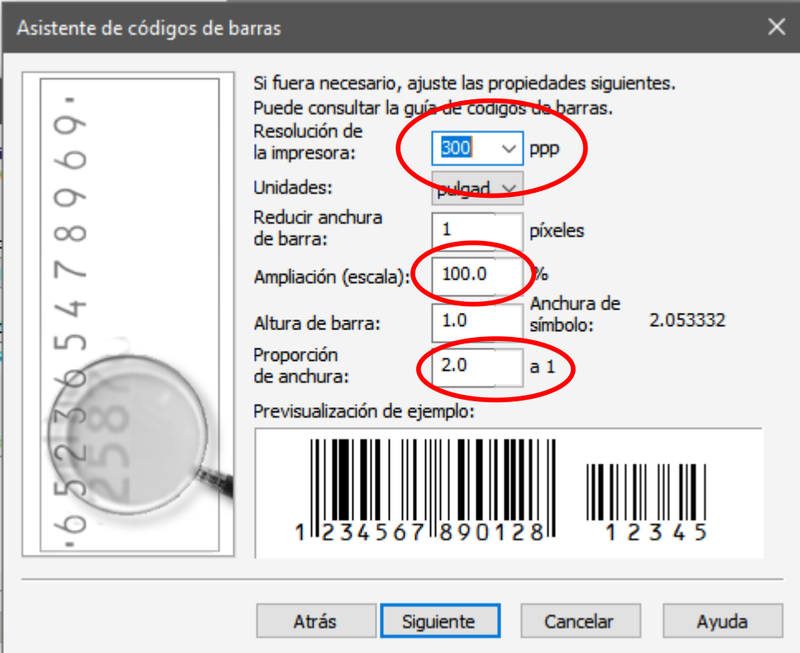 How to create an EAN-13 barcode with a font? Is there an easy and cheap way to print qr codes on post-it notes? How can I print two separate cut jobs on hp latex with onyx rip?